BotoxPatients who wish to augment their new smiles with fresh, youthful-looking facial skin can now do so through the injectable treatments available at the practice of Nicole M. Berger, D.D.S. BOTOX ® Cosmetic and Juvéderm® both produce outstanding anti-wrinkle results and can be repeated as necessary. BOTOX ® Cosmetic is injected directly into the muscles responsible for facial wrinkling, temporarily blocking the nerve impulses to these muscles and essentially paralyzing them. This results in a dramatic improvement in the appearance of fine lines and wrinkles that can last for up to four months. Because BOTOX ® injections effectively relax the muscles into which they are injected, they are often used for therapeutic purposes in dentistry. The injections can be used to treat disorders of the temporomandibular joint (TMJ), chronic migraines, and grinding and clenching of the teeth (bruxism). South Florida Smile Spa offers Botox treatments indicated for individuals who desire to reduce the appearance of wrinkles. To determine if you are a candidate for Botox in Pompano Beach it is essential to learn more about the treatment. Once we gather important health information, we will determine if Botox® will be an effective treatment option for you. If it is, we will then go over the process itself and schedule an appointment for the procedure. After the procedure, the patient will begin to see improvement in 3 to 10 days. Check out what others are saying about our Botox and restoration services on Yelp: Botox Pompano Beach. Botox is a toxin produced by bacteria. The toxin is called Botulinum and has the ability to paralyze muscles. The first doctors to discover and use Botox were ophthalmologists. Because Botox prevents contraction of muscles, was first approved by the FDA in the 1990’s to treat certain medical conditions caused by overactive muscles, muscles spasms and migraine. The cosmetic treatment has been around for a while. The procedure of Botox in Pompano Beach focus on the cosmetic use of the substance. Our office specializes in wrinkle reduction revealing a relaxed and youthful look. The popular treatment has been around for a while. It is FDA approved for all wrinkle-reducing procedures. Each session lasts for around six months. Deeper facial lines require several injections to achieve results. When you schedule your Botox in Pompano Beach with Dr Berger it is recommended that you arrive with enough time before your scheduled appointment to complete the required forms. If you have any conditions that would not qualify you for the procedure, your practitioner will enlighten you about other anti-aging resources. The treatment is simple and nearly painless. Some people are more sensitive to pain and may require the application of an anesthetic cream; others will go through without it. On a reclined position the patient will receive injections of the toxin on affected areas. Within a few days, the result starts to appear, but the full reveal will take about two weeks. It is important to note that our treatment is not the same as store-bought treatments or other options. 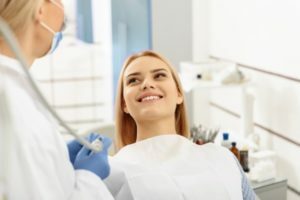 Since each patient is unique, we will need to go over any after-care steps to take in order to ensure the most noticeable and healthy results. By reviewing the patient’s medical history and current condition, we will be able to determine if this is the right procedure for the patient. We strive to find as effective and comfortable treatment as possible. Contrary to what others believe a Botox® procedure is not painful. The needle we use is typically a thin needle that injects small amounts of botulinum toxin into the system. 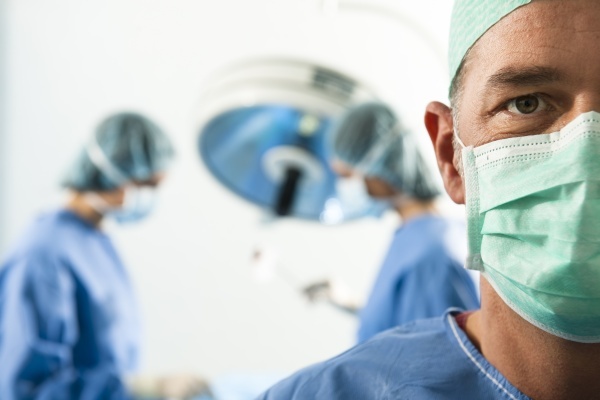 The patient will also be able to return to work or other tasks immediately after. Having Botox in Pompano Beach at South Florida Smiles Spa is a simple outpatient practice with minor invasion and minimum discomfort. To learn more about Botox schedule a consultation with Dr. Nicole M. Berger, DDS.